Judy Polan: EVENTS: Online auction of MAD MEN-orabilia starts June 1 ! 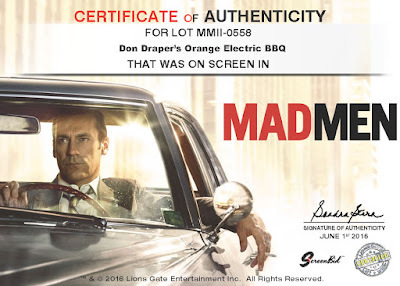 EVENTS: Online auction of MAD MEN-orabilia starts June 1 ! Mad Men lovers take note: Everything from Don Draper's favorite neckties to his 1964 Imperial Crown Chrysler convertible -- not to mention Peggy Olson's typewriter and Pete Campbell's faux globe/booze delivery system -- will go on auction on Wednesday, June 1, at 12PM PST sharp, via Screenbid.com. More than 1500 props and costumes from the show will be on offer. Prices for smaller items are expected to start at around $100, but the sky's the limit for iconic items such as Joan Harris' red suede stilettos, Roger Sterling's Ray-Ban sunglasses, Don's orange office chairs and, of course, The Car. 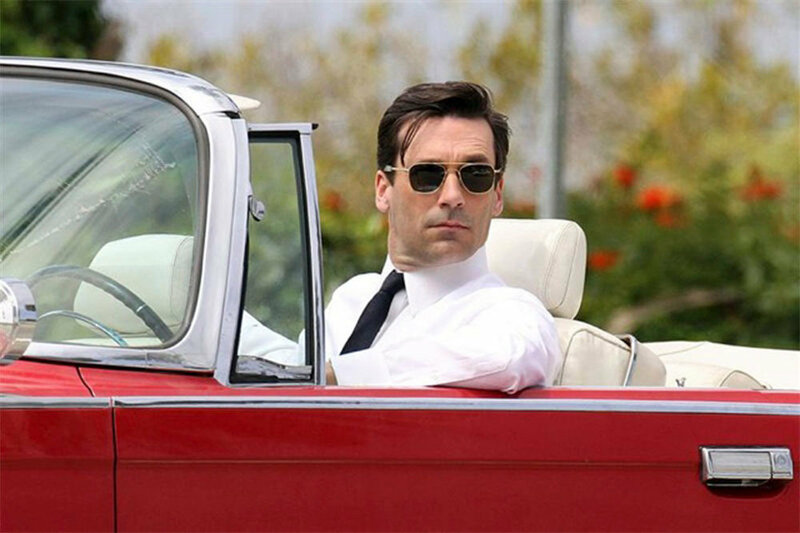 Sorry, ladies, the convertible does not include Don. 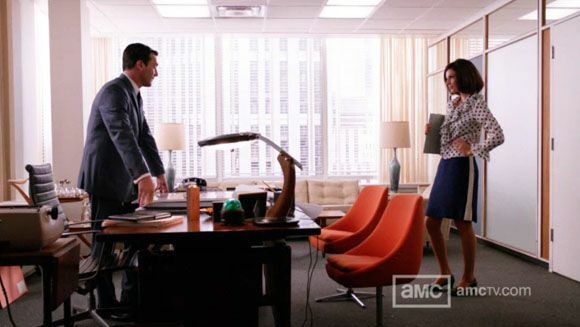 and a set of seductive orange Eames office chairs. 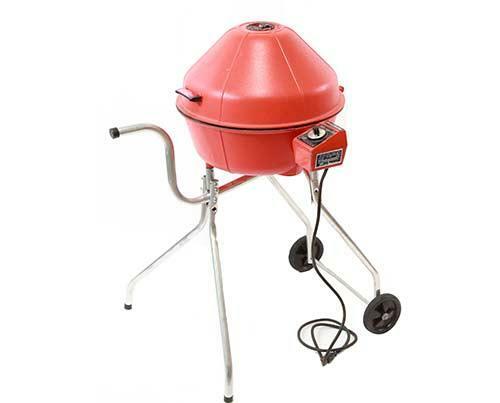 "Take this BBQ home and grill something this summer like the man Don expects you to be. Item is in working condition." that were used only onscreen or in production on a movie or television show. A certificate of authenticity from the studio accompanies each item. When Betty (Mrs. Draper #1) gained some weight, she employed every method known at the time -- including smoking like a chimney -- in order to lose it. 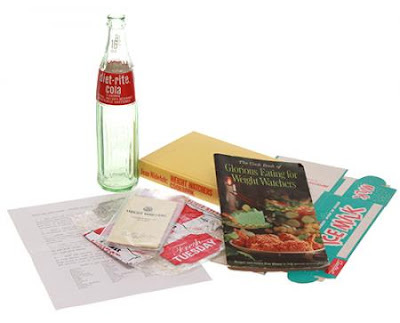 The auction lot pictured above includes a Weight Watchers cookbook, a Diet-Rite cola bottle, a wheat sliced-bread wrapper, the book Glorious Eating for Weight Watchers, and a Sealtest low calorie ice cream box. it became all the rage during the Prohibition era. following Mad Men's seven-year run. 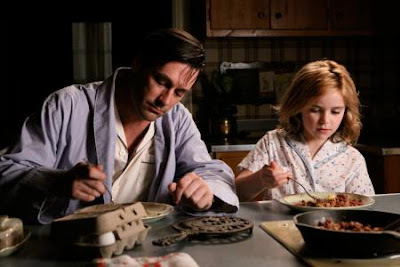 and sharing confidences over omelets or macaroni and cheese.